Jawaharlal Nehru Technological University, Anantapur organizes the entrance test of AP ECET 2020 on the behalf of APSCHE. This state level entrance exam is conducted for Diploma holders of Engineering & Technology, Pharmacy and B.Sc Graduates to offer admission into lateral entry admission in B.Tech, B.E and B.Pharmacy programmes. Candidates qualifying the entrance exam successfully are provided admission in AICTE/PCI approved colleges/institutions located in the state of Andhra Pradesh. Through this article, we have provided complete details related to AP ECET 2020. AP ECET 2020 Online Application form is expected to be released in the fourth week of February 2020. The complete application process will be in online mode. Candidates can fill the application through the website. The online application process will involve various steps like payment of application fee, checking the payment status, filling the application form, submission and printing of application form. The application form must be submitted by the candidates before the last date i.e. fourth week of March 2020. Corrections/modification facility will be also provided by the University in case candidates have entered incorrect information in the application. Applicants of all categories have to pay application fee of Rs.500. The fee payment can be made in online mode (debit/credit card/net banking) or offline mode (at any AP Online Centre). Candidates can check the complete eligibility criterion of AP ECET 2020 below. Nationality: Applying candidate must be citizen of India. Candidate should have passed his/her three years B.Sc degree or its equivalent from a recognized board or University. Qualifying Subjects: Candidate must have passed his/her three years of B.Sc degree with Mathematics as compulsory subjects along with other subjects. Qualifying Marks: Candidates in the qualifying exam must have secured 45% marks (40% for reserved candidates). Domicile: Applying candidate must belong to Andhra Pradesh state and satisfy the local or non-local status requirement as per the State Government. Candidates of Non-Indian origin must fulfill the norms of the University. Appearing: Candidates pursuing diploma programme are also eligible but should have passed the course before the admission. Exam Date and Mode: AP ECET 2020 Entrance exam will be conducted in the 1st week of May 2020 through online CBT mode. Number and Type of Questions: Total of 200 multiple choice questions will be asked in the entrance exam. Language Medium: Question paper will be made available to the candidates in English language only. Total Marks: Exam will be of total 200 marks for all programmes. Time Duration: Total time of 3 hours will be allotted to complete the paper. Marking Scheme: 1 mark will be given for each correct answer. The Syllabus of AP ECET 2020 will contain various topics from various subjects for different courses. For B.Sc (Mathematics), the syllabus will comprise of topics from the Mathematics, Analytical Ability and Communicative English subjects. Syllabus for engineering programmes will be set from the Physics, Mathematics and Chemistry subjects of 11th and 12th level. Prepare a study timetable for the exam preparation. Go through the complete exam pattern, marking scheme and syllabus before beginning the preparation. Prepare short notes of important topics, formulas and concepts. Go through these notes regularly. Attempt online or offline mock tests and analyze your preparation level. Solve previous year’s exam papers and sample papers for more practice. Study for the exam from good sources of study material recommended by experts. Question: When is the application form of AP ECET releasing? Answer: The Application Form of AP ECET 2020 will be released on the website in the fourth week of February 2020. Question: Can I fill the application form through offline mode? Answer: No, the application form can be filled through online mode only. Question: What is the application fee of AP ECET and how can I pay it? Answer: The Application fee of AP ECET 2020 is Rs.500. You can pay the application fee through debit/credit card/net banking or at any AP Online center. Question: I have entered incorrect details in the AP ECET Application form. Can I make correction/modification in it? Answer: Yes, you can make correction/modification during the application correction period. Question: Can other state candidates apply for AP ECET? Answer: No, candidates of other state cannot apply for this entrance test. Question: When will be the entrance exam of AP ECET organized? In what mode will it be held? Answer: AP ECET 2020 entrance exam will be organized in the first week of May 2020. The exam will be held in online CBT mode. Question: When will be the admit card released? Answer: The admit card of AP ECET 2020 will be released in the third week of April 2020. Question: Is negative marking applicable in the entrance exam of AP ECET? Answer: There will be no negative marking in the entrance exam of AP ECET 2020. AP ECET 2020 Admit Card can be downloaded by the candidates after its release on the website. It will be made available in the third week of April 2020. To download the hall ticket/admit card students have to enter their login credentials – Registration number and date of birth. Admit card is mandatory to carry by the students on the exam day. With the admit card, no candidate will be allowed to enter the exam hall and sit for the test. Along with the admit card candidates are also required to carry one photo id proof for identity verification. 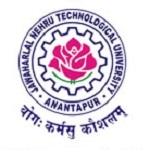 On the behalf of APSCHE, JNTU Ananthpur will declare the result of AP ECET 2020. To check the result and download the rank card students have to visit the website and enter their date of birth and registration number. With the announcement of results, the answer key will be also released on the website. It is expected that the result will be published on the website in the third week of May 2020. The scorecard/rank card will be available for download in the fourth week of May 2020. Scorecard will mention details like name of the student, roll number, gender, date of birth, subject wise marks, rank obtained, total marks, etc. After candidates get qualified in the exam, selection for the counselling process will be done. Selected candidates are shortlisted in the merit list released on the website. On the basis of marks and rank obtained by the candidates in the exam, students will be selected for counselling process. A web based counseling process will be organized in the fourth week of June 2020 to provide admission in various programmes. The counselling procedure will consist of – Registration, Certificate verification, web counseling. For the Certificate verification process, candidates have to carry their original and photocopies of their required documents/testimonials. If you have any query related to AP ECET 2020, you can ask your query in the comments section given below.